When thinking of the home security, many homeowners fail to include their overheadgarage door as a part of this system. Criminals take full advantage of this fact by targeting the garage first. It is the entry-point of most home burglaries based on the statistics of local authorities nationwide. Here are some tips that will help you increase the safety of your home. Keep tools and other valuable out of plane sight of passing-by spectators. It increases the chance of a thief targeting your home if they see something of value they want stored in your garage. If you have compartments such as cabinets or overhead storage areas in your garage, store your valuables there. Big objects such as ladders should also be placed out of sight, for example in a corner on the far end of the garage. Installing a security system will make your home much safer. Many garage door installations often come with security options such as an open door monitoring systems. This is a panel mounted inside of the home that will alert the homeowner when the garage door is left open. It can also be programed to close the door automatically after a given period of time. Some systems will even notify the authorities in the event of a break-in. Although garage door windows can really complement the appearance of the door, they can also welcome thieves if they are clear. Consider tenting or frosting them so that passing criminals cannot see through them. Reflective glass that offers the appearance of a mirror is also a good option that not only looks great, but more importantly it keeps thieves’ eyeballs out of your garage. The most basic tip for garage door security is to simply keep it shut. Many homeowners leave their door up intentionally or by mistake, allowing others to see what is stored inside. 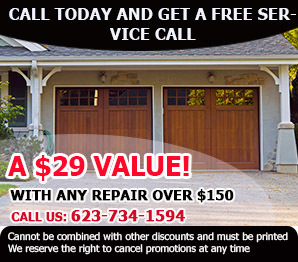 Even if you live in a neighborhood that has little to no crime, close your garage door. The more you leave it unsecure, the higher the risk of being targeted by thieves.